As we begin to tick off the places we want to visit before we leave Asia, we've booked a trip to South Korea at the end of the month. We will only a have a long weekend there so will spend the whole of our trip in Seoul, but we definitely plan to cram in as much as we can to really see the city. 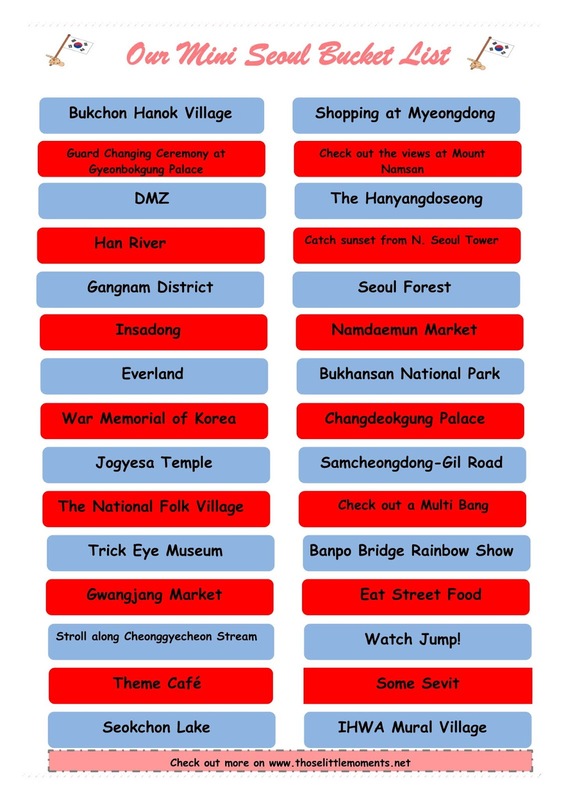 I've created a mini Seoul bucket list of all of the things we hope to do during out time in Seoul. It's ambitious, but what's life without a little ambition?